As the nature of the workplace changes – a rise in teleworking and freelance workers are trends that are re-shaping offices – online project management and collaboration tools have also become more popular in recent years. There are plenty to choose from, some of which are geared toward larger teams and some that work better for individuals or smaller groups. Among those services, two popular tools have emerged as leaders: Asana and Trello. The two offer similar pricing and features, so here I’ll take a closer look at them side-by-side. Asana, launched in 2008 by two former Facebook executives, offers a straightforward communications and project layout that a team could feasibly use for all its communications, even bypassing email. It offers a high number of integrations and add-ons, including WordPress, Google Drive, Dropbox, and Usersnap. It also offers mobile apps for Apple and Android devices. Asana lets you create and break down assignments in a simple, straightforward way with tasks and projects. 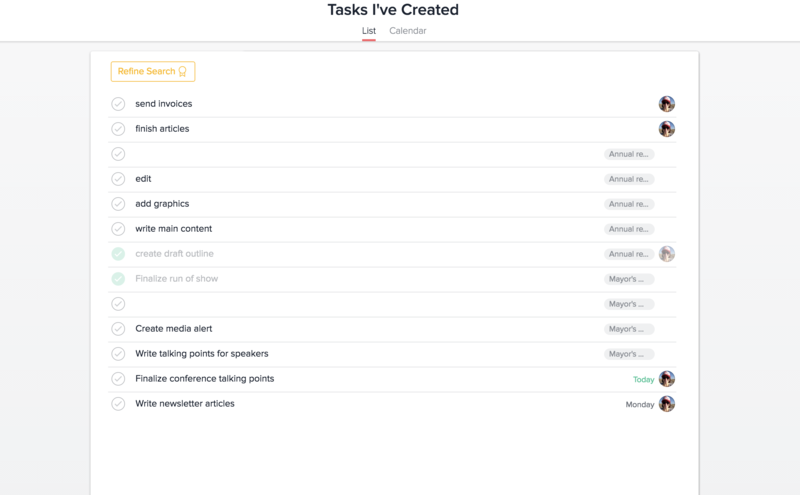 To start, I might create several individual tasks, which I can see under “my tasks” and can organize by team member and due date. To organize those tasks, Asana lets you create projects, and sort tasks within those projects. A project might be an event, product launch, or a calendar. 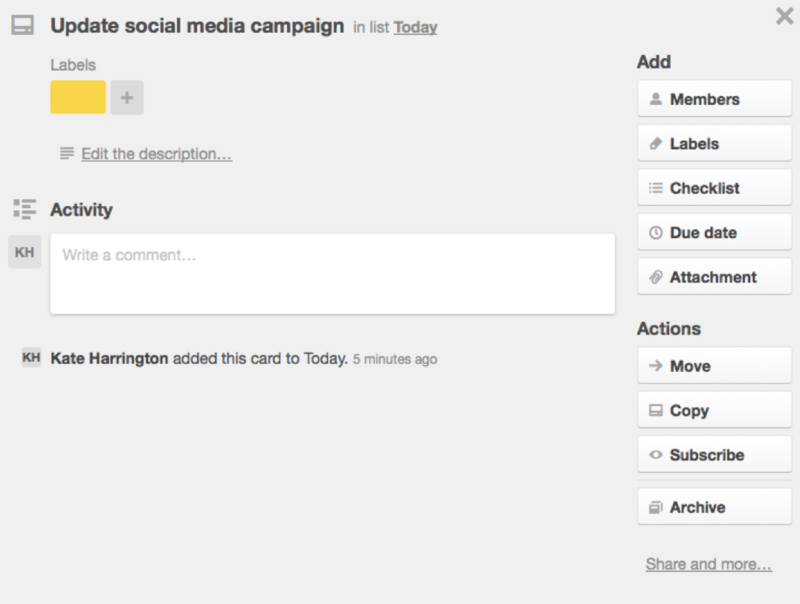 Within each project, you can see tasks that are assigned and completed. Asana works for an individual, but you’ll probably get way more out of it if you’re part of a team that’s collaborating on one or more projects. You can assign tasks to yourself and teammates, or add followers who might not be assigned tasks, but who want to follow the progress of the work involved. Asana also lets you comment on a task or use @mention to tag a specific teammate. Asana also includes an inbox where you can get more email-like messages. Trello is a free web-based management application that supports iPhone, Android, and Windows 8 mobile platforms. Like Asana, Trello has a number of integrations, including Slack, Google Drive, Dropbox, and GitHub. Both Trello and Asana follow similar principles of moving tasks and projects through a highly visual process. In terms of price, the services are nearly identical: both offer a free version, or for larger groups, a premium plan. Asana’s cost is $8.34 per member per month, and Trello’s is $9.99 per member per month. Both also offer custom-priced enterprise plans for larger groups. 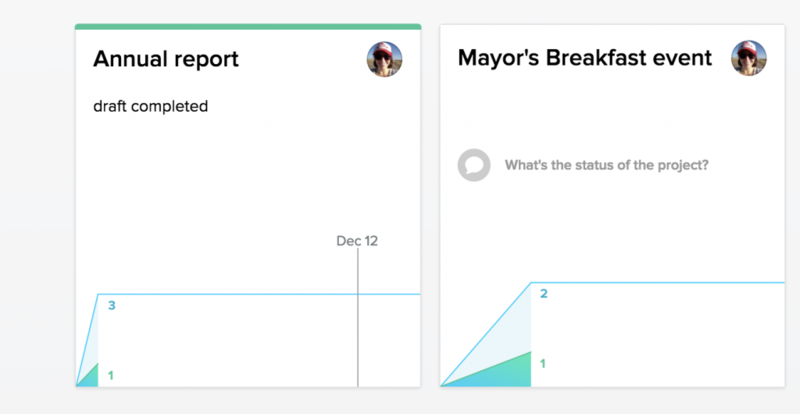 With Asana, what you get with the premium plan includes unlimited dashboards, unlimited guests, private teams and projects, priority support, custom fields, and task dependencies. Trello’s premium plan includes file attachments up to 250MB, control over who can create public or private boards, restricted membership invitations, priority email support, advanced grouping and organization of your team’s boards, and unlimited “power-ups” – integrations that turn Trello boards into living applications. Based on my use, there’s not a clear winner; the provider you choose depends on your style. With that said, here are some considerations: while both give you a clear system for following tasks, Asana’s display has more “stuff” on your screen. If you prefer a more streamlined dashboard, keep that in mind. Asana will also only let you assign a task to one member of your team. However, you can add more than one tag to each item. Asana is slightly more feature-rich, with an inbox, team conversations, and team calendar. As stated above, depending on your preferences, that could be a plus or minus. Those features add a lot more visually to your screen, and that could make learning your way around Asana a slower process. Trello has a very simple layout and straightforward instructions; simply move the cards through the lists as you progress on each task. Trello also lets you invite as many people as you want to a board and includes real-time collaboration, although tagging someone on a card doesn’t make that task visually stand out, so you need to be sure teammates are following their tags. You prefer seeing a task move through the system, instead of disappearing when it’s completed. To me Trello comes out ahead because of its streamlined simplicity, however I can see where Asana might be a better tool if I was working with a larger group of people. To summarize, both services offer very clear organizational and communications tool, and both give you quite a lot with their free versions. The best fit for your team may simply come down to personal preferences.